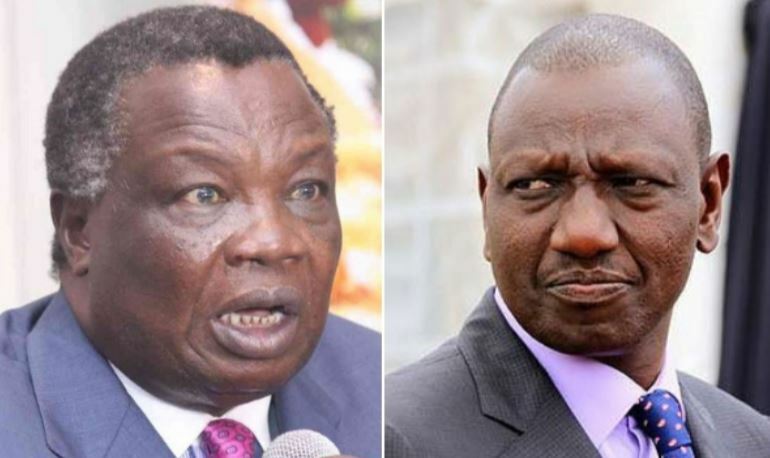 Deputy President William Ruto has retorted to claims by COTU Secretary General Francis Atwoli that he won’t be running for the presidency in 2022. Last Saturday, Atwoli said it is Mombasa Governor Joho who would make the next government and not Ruto. “I assure you that after the next elections, Governor Ali Hassan Joho will be part of the next government. In 2022 we shall elect the president in an election that will be very peaceful since we shall have amended the Constitution,” said Atwoli during a fundraiser for Lamu Women’s SACCO. In his response, Dr Ruto termed Atwoli’s remarks as witchcraft, adding that leaders making such sentiments need prayers. “But just pray for such people so that they can seek the kingdom of God first and stop these other things messing up the country,” said Ruto. The DP was addressing faithful on Sunday at the Salvation Army Citadel in Kakamega County. He was in the company of Senate Speaker Ken Lusaka, Governor Ferdinand Waititu, and Boni Khalwale, who also told off Atwoli. While the Kiambu governor Baba Yao maintained that Ruto will be the next President in 2022, remarks that were echoed by Ken Lusaka.